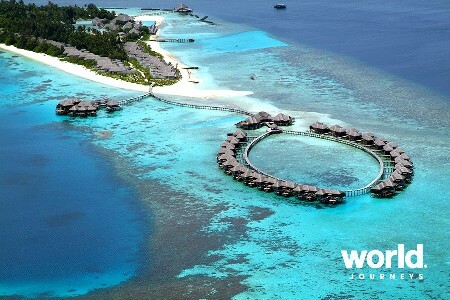 A tropical paradise is the only way to describe Coco Palm Dhuni Kolhu. Located on the private island of Dhuni Kolhu, in the Baa Atoll, Coco Palm Dhuni Kolhu is the ultimate hideaway in the Maldives. 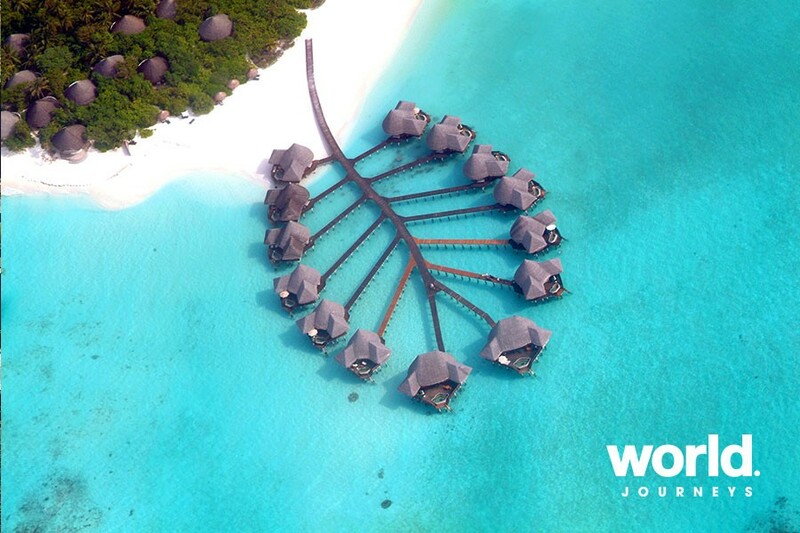 Coco Palm Dhuni Kolhu features 98 delightful thatched villas, either dotted among palm trees offering peaceful tranquillity or on stilts over the lagoon, with spectacular views of the ocean and nearby desert islands. 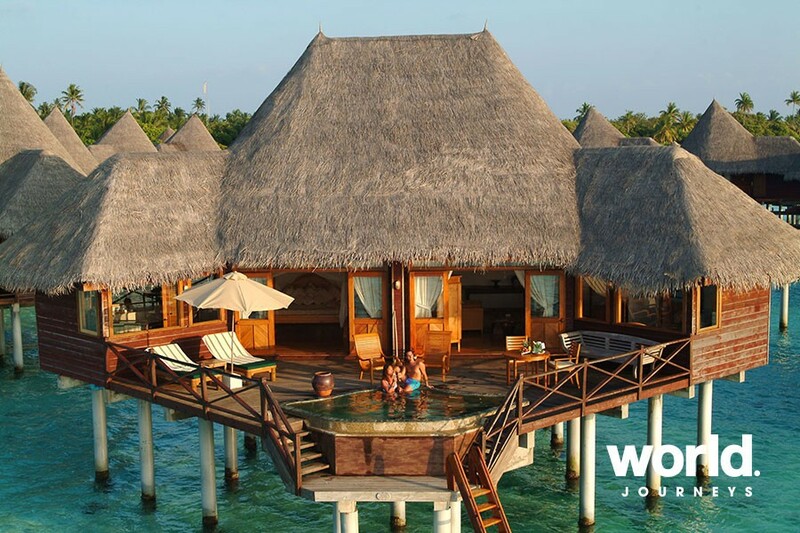 Ocean Front Villas Lining the beach on the Northern end of Coco Palm Dhuni Kolhu are 9 Ocean Front Villas, inviting you to explore the barefoot comforts and tranquility of the island. 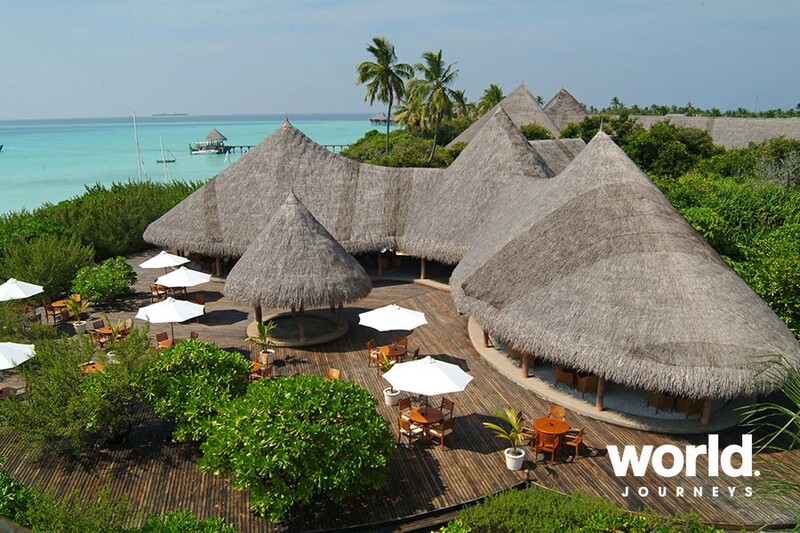 The high-pitched ceiling and king-sized bed in these villas are complemented by the traditional thatched roofs and open air garden bathrooms reflecting authentic Maldivian touches. 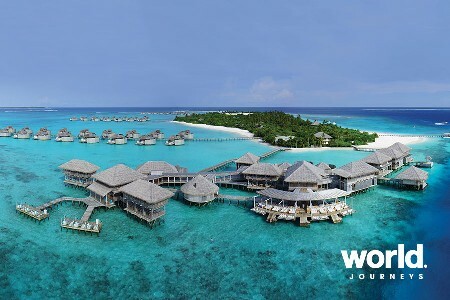 With the azure lagoon at your doorstep, the Ocean Villas offer uninterrupted views of the Maldives' turquoise ocean meeting the blue sky as you relax on the private terrace. Beach Villa, Sunset Beach Villa and Deluxe Villa Set amidst lush, natural vegetation and romantically secluded for privacy and tranquility, these Beach, Sunset Villas and Deluxe Villas all have open-air garden bathrooms to enjoy showers whilst watching the sunrise over the coconut palms or under the stars. The spacious bedrooms feature a high-pitched ceiling, kingsize bed, air-conditioning and an overhead fan. Each villa has a private terrace with outdoor seating, perfect for lounging about, enjoying in-villa dining, reading or simply just relaxing. Amenities include mini bar, personal safe, tea/coffee maker, hairdryer, laundry service, sitting area, writing desk and IDD telephone. 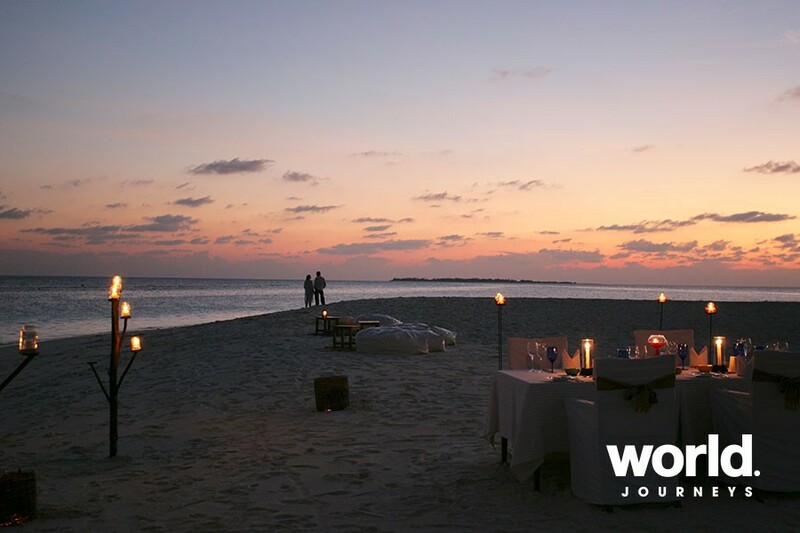 In addition you can enjoy the mesmerizing sunset off the shores of the beach or on the private terrace at our Sunset Beach Villas. 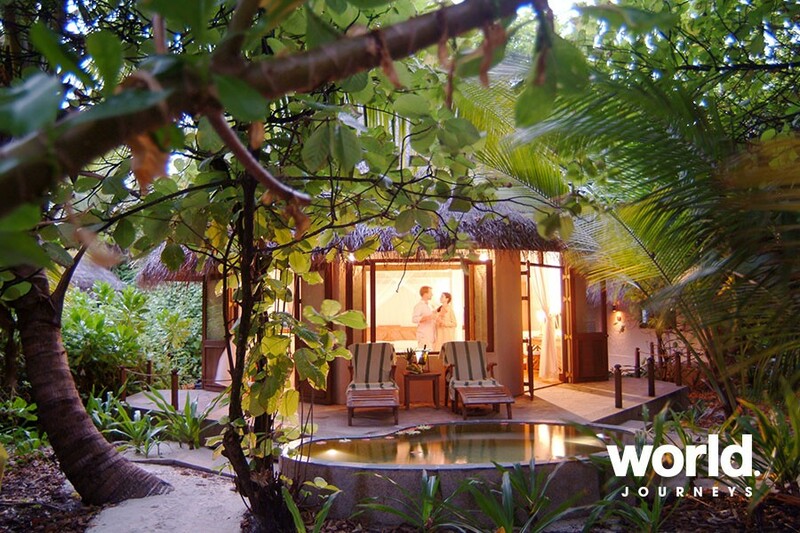 The deluxe villas also feature a open bath and plunge pool. 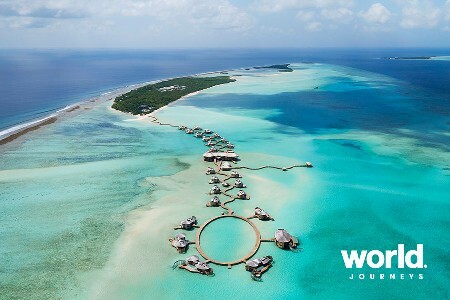 Lagoon Villas Each of our Lagoon Villas offer amazing panoramic views out to sea and a close up view of the wide variety of fish swimming around the house reef below. 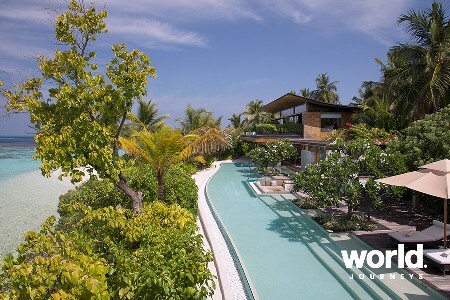 Each Lagoon Villa comes with its own private splash pool and outdoor seating on the terrace. 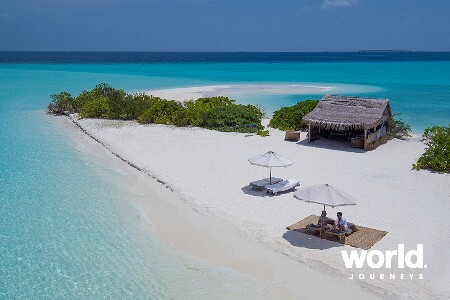 Providing a great location to relax with un-interrupted views and enjoy a dip in the the clear turquoise waters of the Indian Ocean outside your door. 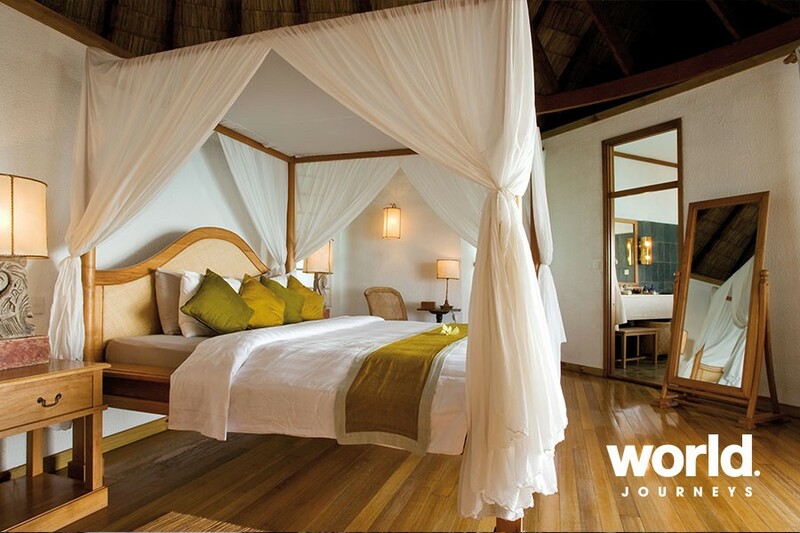 The spacious bedroom comes with a four poster king-size bed, air conditioning and an overhead fan. Its luxurious bathroom is uniquely designed to allow enjoyment of the ocean view whilst bathing. Also featured are mini bar, personal safe, tea/coffee maker, hairdryer, laundry service, sitting area, writing desk and IDD telephone. Sunset Lagoon Villas The views from the Sunset Lagoon Villas are breathtaking, with the intoxicating view of the Indian Ocean and the beautiful colours illuminating from the sunset cascading the water, the view from the private terrace is unsurpassable. The villas also feature a spacious bedroom with four poster king-size bed, air conditioning, an overhead fan and a charming living room with antique furniture and decorative object's d'art. The ocean view bathrooms have a deluxe spa bath and separate shower. Each villa has a private terrace with a fresh water splash pool overlooking the lagoon and an incredible terrace that provides a feeling of freedom and absolute privacy. The Sunset Lagoon Villa offers in-villa spa treatments on request and comes with mini music system, TV and DVD player, mini bar, tea/coffee maker,personal safe, hair dryer, laundry service, writing desk and IDD telephone. • Supplements and special conditions apply over peak periods. 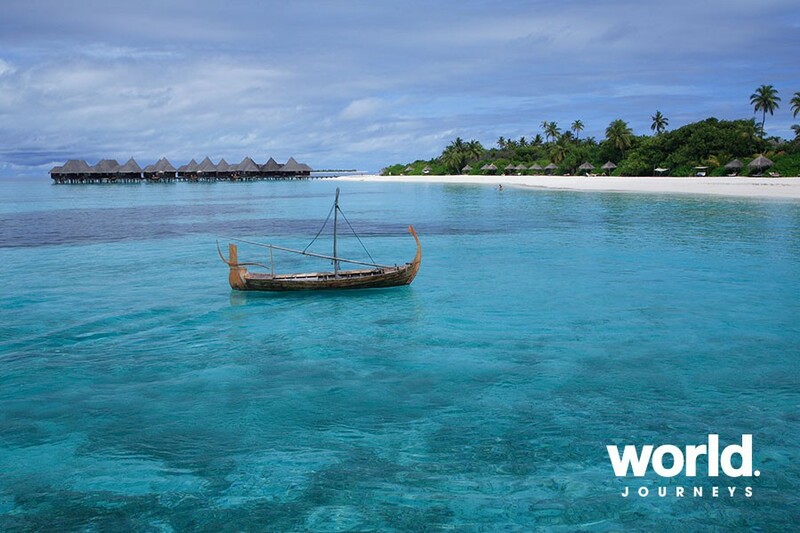 • Please note seaplane transfers will only operate during daylight hours. Late arrivals or early departures will require an overnight in Male.